The Wavy Tales: What should I buy from.....IHERB.COM? In honor of Spring I decided to blog about my recommendations for products to buy at various places. 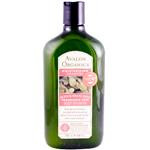 I thought I'd start with http://www.iherb.com/ -- because I get asked frequently what people should buy from there. I also have a coupon code you can use for $5 off your first order (it's at the top of my blog) if you haven't ordered before. I love ordering from iherb because they ship super fast and I always get my stuff in a day or two. I've never had a mixed up order and they responded to an email I sent very quickly. Excellent service! So .... you've got some money earmarked for product and decide to go shopping on iherb--what are some good options? EO -- There are several types. My favorite is the Sweet Orange but others like the Chamomile and Honey. 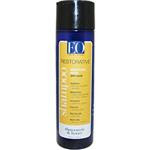 Giovanni -- we love the 50/50 shampoo and the Tea Tree shampoo/conditioner. I like the Root 66 volume conditioner as well. 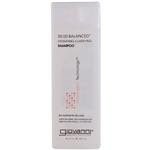 We were not overly fond of the Smooth as Silk shampoo (has cones) or the condish (didn't work all that great). Aubrey Organics -- Of course you simply *must* try the Honeysuckle Rose Conditioner. Many like it (we thought it conditioned o.k. but T had a problem with waxy type build up). GPB is the only Aubrey condish we still have and we use it occasionally. I did not like the Aubrey shampoo's. Their liquid curl activator had the most horrendous smell (see other blog article on that!). We also tried the Island Naturals conditioners and were not fond of the smell. The trend seems to be that we don't like the smell of their products. Another product I strongly recommend you pick up is the Mandarin Magic -- this stuff is great to use to add to a gel to help it spread and as an all around moisturizing gel you can add with a curl jelly or as a leave in. This is, by far, my favorite Aubrey product! I tried the B5 Design gel and hated it--left my curls droopy and sad. Avalon Organics -- You have to read the labels on these as some contain cones. I really like the Olive and Grape Seed (thanks Solidgold for turning me onto these!) poo and condish. I haven't tried the others. 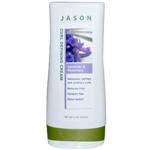 Jason Natural -- my two favorite products are the Thin to Thick conditioner and the Curl Defining Cream. Although the condish does not smell great (see previous blog posts) it does work well. The Curl Cream is really fabulous! It works wonders for me! I am planning another iherb order for some Alba Botanical Gel and Leave in as well as Desert Essence shampoo and conditioner along with a few other products. Once I get them I'll review and post!